It would seem like 2012 is the year of Travis Ryan, having put out records with both Murder Construct (#24 on our list) and with Cattle Decapitation: Monolith Of Inhumanity (#10 on our list). 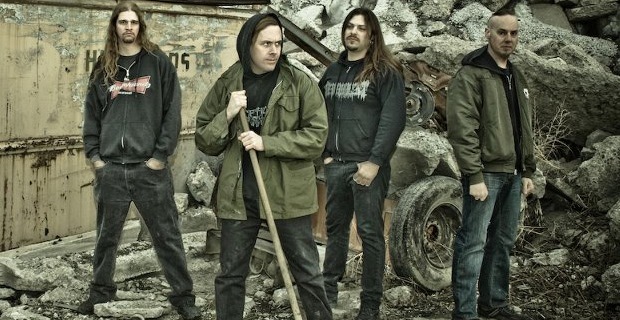 Over the course of a few records, Cattle Decapitation have proven that they are masters of the death/grind hybrid movement, crafting song after song designed to be as brutal as possible. Filled with Travis Ryan’s uniquely guttural vocals, Josh Elmore’s mechanically-precise guitar work, Derek Engemann’s adventurous bass playing and David McGraw’s ballistic drum patterns, Cattle Decapitation push the limits of the genre in just about every way they can devise. While they have many death/grind contemporaries who are quite excellent themselves, no one can do it quite like Cattle Decapitation does. They make weird, ugly, off-the-beaten-path metal and every part of it is simply fantastic. Monolith of Unhumanity is surely a must-have for any legitimate metal collection.